On 17 May 2017, on the occasion of the 22nd anniversary of the 11th Panchen Lama’s arbitrary arrest, the Tibetan Centre for Human Rights and Democracy (TCHRD) released a report on the arbitrary arrests and detention of Tibetans protesting in favour of their freedom of religion. Some recent cases analysed in the report show the Chinese authorities’ blatant infringement of international standards. The abduction of six-year-old Gedun Choekyi Nyima provides an example of how China pursues discriminatory policies towards Tibetans due to their religious beliefs and practices. Today marks the 22nd anniversary of arbitrary detention of the 11th Panchen Lama, Gedun Choekyi Nyima by the Chinese government. One of Tibet’s most important spiritual leaders, the Panchen Lama has not been seen or heard from since then. On 17 May 1995, the six-year old Gedun Choekyi Nyima and his parents were arbitrarily detained by Chinese government officials. For many years, Gedun Choekyi Nyima was the world’s youngest political prisoner, and now the longest serving political prisoner assuming that he is still alive in Chinese custody. The arbitrary detention and subsequent disappearance of Gedhun Choekyi Nyima is the violation of the right to liberty, and the rights to defend himself from extrajudicial killing, enforced disappearance, torture and other cruel, inhuman or degrading treatment, etc. There was no legal basis for the detention of Gedun Choekyi Nyima. The Chinese government claimed that the 11th Panchen Lama was an ‘ordinary boy’ in the ‘protective custody’ of the Chinese state. At present, Gedun Choekyi Nyima is a 28-year old adult. Article 34 of the Chinese Consititution provides that “All citizens of the People’s Republic of China who have reached the age of 18 have the right to religious belief, education and profession”. In keeping with the constitutional provision, Gedhun Choekyi Nyima must be released immediately and unconditionally to enable him to live a life of any ‘ordinary’ person with all the rights guaranteed. To observe the 22nd anniversary of the Panchen Lama’s arbitrary detention, Gedun Choekyi Nyima, the Tibetan Centre for Human Rights and Democracy (TCHRD) released today a special report on Tibetans arbitrarily arrested and detained by the Chinese government. The special report titled ‘Inevitable Imprisonment: Arbitrary Detention and its Effects on the Exercise of Universal Rights in Tibet’ assesses the international standards against arbitrary detention, with a discussion of the various standard-setting institutions and the ways in which these principles are enforced. It also surveys the current scope and severity of arbitrary detention in Tibet by offering the most recent case studies. In so doing, it also critically evaluates the new laws and methods that the PRC employs to carry out deprivations of liberty in Tibet and explains how each type represents a violation of international human rights law. The report then explores the international enforcement mechanisms currently available to combat the PRC’s arbitrary detention violations in Tibet – analyzing the strengths and weaknesses of the available accountability measures. The report will conclude with recommendations to end arbitrary deprivations of liberty in Tibet. On 14 May 1995, His Holiness the Dalai Lama announced the recognition of Gedhun Choekyi Nyima as the reincarnation of the previous 10th Panchen Lama. On 15 May, the Chinese government issued a statement rejecting the Dalai Lama’s selection. This was followed on 17 May with the abduction of Panchen Lama and his parents from their home in Lhari County. They have never been seen or heard from again. On 29 November, spurred by political motives, Chinese government appointed Gyaltsen Norbu, as its choice of 11th Panchen Lama. Chinese appointment of a rival Panchen Lama to nullify the Dalai Lama’s choice sparked deep and widespread resentment among Tibetans who continue to protest and call for Gedhun Choekyi Nyima’s release. 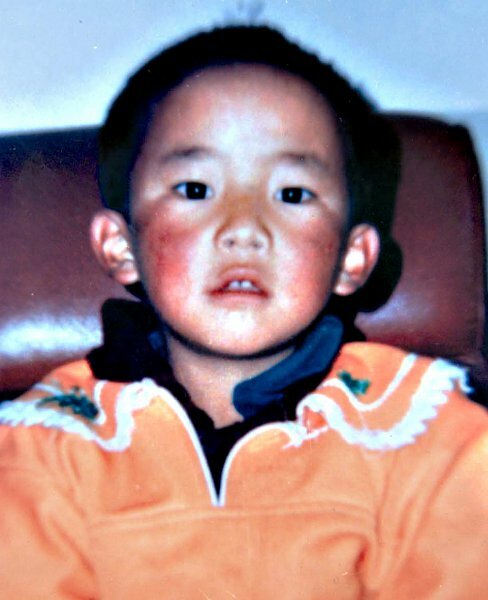 Sustained pressure from the international community led to Chinese government admitting on 14 May 1996 that it was holding Gedhun Choekyi Nyima, purportedly to provide security for the ‘ordinary boy against suspected attempts by splittist groups to kidnap him’. Many in the international community have called on Chinese government to account for the enforced disappearance of Panchen Lama and his parents. So far, Chinese government has failed to provide any evidence on the safety and well-being of the Panchen Lama and his parents. The Tibetan system of reincarnation is not defined by political appointments, popular elections, name and status of the position. It is determined by the spiritual necessity to continue the specific lineage in order to carry out the teachings of the former lineage holder. The recognition of reincarnation through the traditional Tibetan system involves manifestations of particular signs, prophesies that are held to tests following intricate religious principles and rituals. China’s politicised system of reincarnation has effectively removed the role of traditional Tibetan religious practices and threatened the survival of Tibetan identity by destroying its religion and culture, customs and traditions.